BBC – Scientists tracking the Ebola outbreak in Guinea say the virus has mutated. Researchers at the Institut Pasteur in France, which first identified the outbreak last March, are investigating whether it could have become more contagious. More than 22,000 people have been infected with Ebola and 8,795 have died in Guinea, Sierra Leone and Liberia. Scientists are starting to analyse hundreds of blood samples from Ebola patients in Guinea. It’s not unusual for viruses to change over a period time. 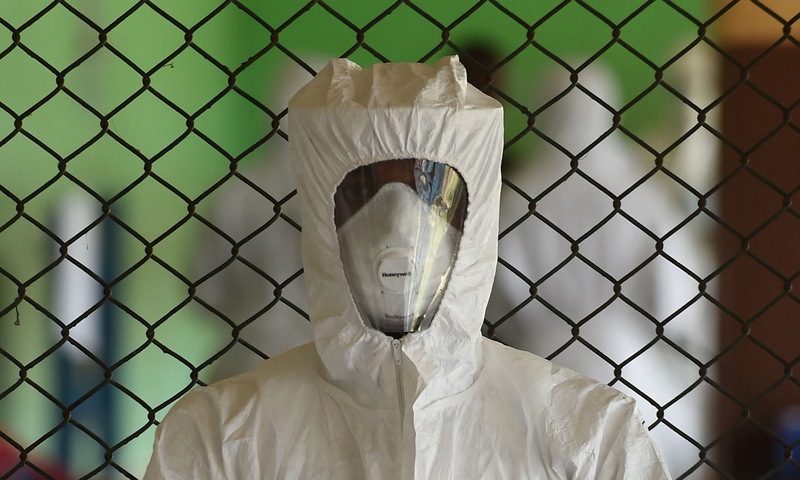 Ebola is an RNA virus – like HIV and influenza – which have a high rate of mutation. That makes the virus more able to adapt and raises the potential for it to become more contagious. “We’ve now seen several cases that don’t have any symptoms at all, asymptomatic cases,” said Anavaj Sakuntabhai. But Professor Jonathan Ball, a virologist at the University of Nottingham, says it’s still unclear whether more people are actually not showing symptoms in this outbreak compared with previous ones. “We know asymptomatic infections occur… but whether we are seeing more of it in the current outbreak is difficult to ascertain,” he said.